Completely refurbished with modern features and style, this accommodation has a dynamic working environment. 24/7 access is provided to tenants and a secure access system with intruder alarm keeps the building safe at all times. The building is part of Hurdsfield Business park with easy access to the A523. Available unfurnished, or office furniture can be provided on request. 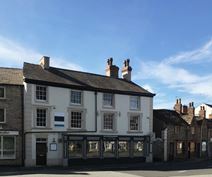 With seven offices in total, located on the 1st & 2nd floors of this Grade II listed building, this workspace is ideally situated close to Macclesfield Town Centre and around half a mile from the train station to provide direct links to Manchester Piccadilly and London Euston. Built to modern standards these high-quality, semi-serviced offices are situated within a self-storage facility very close to Macclesfield Town Centre. Secure parking and storage available on-site. Within walking distance of local bus and train stations. This Grade II listed building is now a practical office space boasting a range of practical amenities. Tenants can take advantage of an all-inclusive rate - with electricity, heating, cleaning and more all rolled into one payment - as well as WiFi, telephone answering, reception services and board room use. The centre is just two minutes away from Macclesfield town centre, with its many cafes and shops. Onsite parking is available. This warehouse space is perfect for light industrial businesses and includes a small office space for potential administrative work, a secure roller shutter, full height vehicular access, an inclusive rate (service charge and building insurance), 24-hour access and flexible terms. 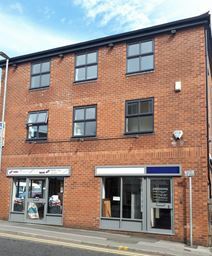 The business centre is based near to Macclesfield town centre and is just a seven-minute walk to Macclesfield railway station. 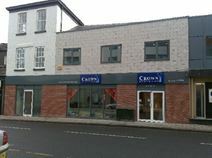 A variety of fully furnished offices are available at this centre within Macclesfield. The location is a short distance from the local railway station and a twenty minute drive from the M6. With space for up to 12 people, this classic office building offers onsite management within a very professional work environment. Based in Hurdsfield Industrial Estate about a mile north of Macclesfield town centre, this newly refurbished building now hosts flexible office space of a great quality. Possibilities for office size range from small rooms up to the entire building, flexible to match your business needs. Shared kitchens and separate male, female and disabled toilets are on each floor. Basement space can be used for storage and car park spaces are available at a charge. Close to the town centre and the train station this centre provides 10 offices over three separate floors of this beautiful Georgian property with original features and natural light throughout. Competitively priced workstations are available at this converted mill, now split into various units for use as offices, storage rooms and workshop space. The offices range in size from 2-16 workstations and are available on flexible terms. Just a five minute walk away from Macclesfield town centre and its shops, restaurants and pubs, this property also benefits from easy access to the local buses and train station. Just 200m from the train station, these extensively refurbished offices can accommodate three to five workstations and are inclusive of Wi-Fi, business rates and heating. The space is just two minutes away from Macclesfield Railway Station, which offers direct links to London Euston and Manchester Piccadilly. For international travel, Manchester International Airport (MAN) is just a 20-minute drive away and is also accessible by public transport. 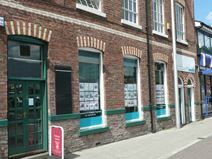 This Macclesfield-based centre is newly refurbished, with all office space now boasting a high quality finish and a lovely working environment. The centre is perfect for between six and fourteen workstations, thus presents an exciting proposition for all kinds of businesses. Rate is inclusive of WiFi, lighting, heating and cleaning. Macclesfield town centre is just a two minute walk from the centre - ideal for lunchtime. This enviable location directly opposite Macclesfield Railway Station is the home for this impressive Grade II listed building that provides four floors of serviced office space. Ideal for commuters tenants also have access to an on-site conference room. 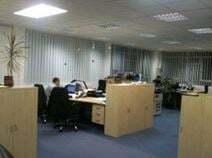 Newly built in a modern design, this office space is brightly lit for better computer use and spans four floors which can be let as a whole or on a floor by floor basis. With a town centre location in Macclesfield, the transport links and local amenities are a big bonus for any type of company. Parking is available on-site and there is fast access to Manchester via the M6. 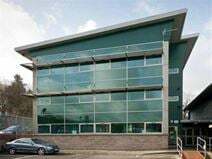 This business centre offers either serviced or conventional office space in Lyme Green Business and Retail Park, to the south of Macclesfield. 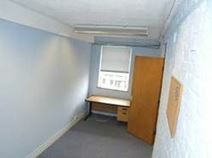 Office suites are refurbished to very high standards on this ground floor area. A serviced reception is provided with other services including car parking and secretarial support. The M6, M60 and M56 motorways are within a short drive and bus routes provide good public transport to the area.